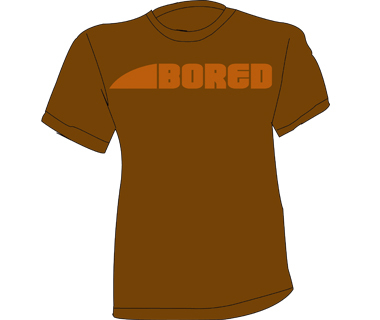 As part of the rebrand for Bored Lizard Surf Shop, we created T-Shirt designs that carried across the artwork from other aspects of the project. 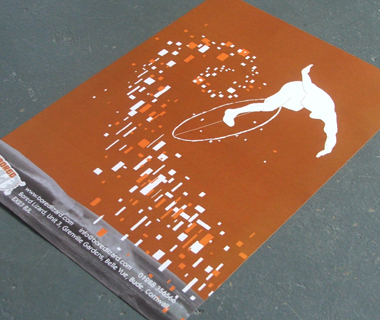 Another of the shirt designs we created, this one taking a single element from the logo. A3 poster design for Bored Lizard, using elements from the website. 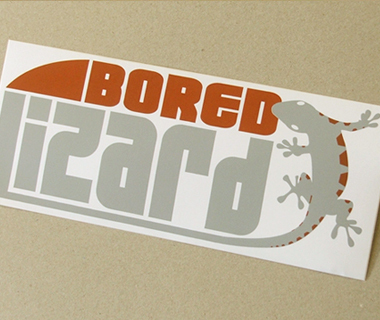 Poster design for Bored Lizard. 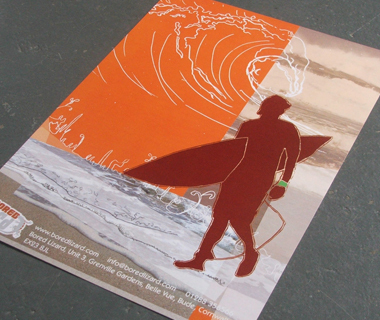 The artwork was created to be used on clothing designs as well. 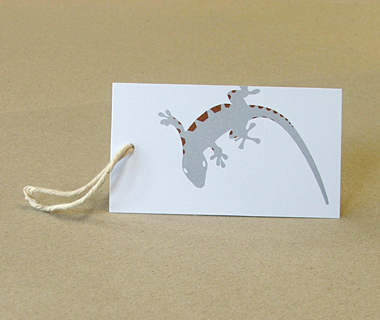 Clothing tag for Bored Lizard using elements from their brand and printed on uncoated card.